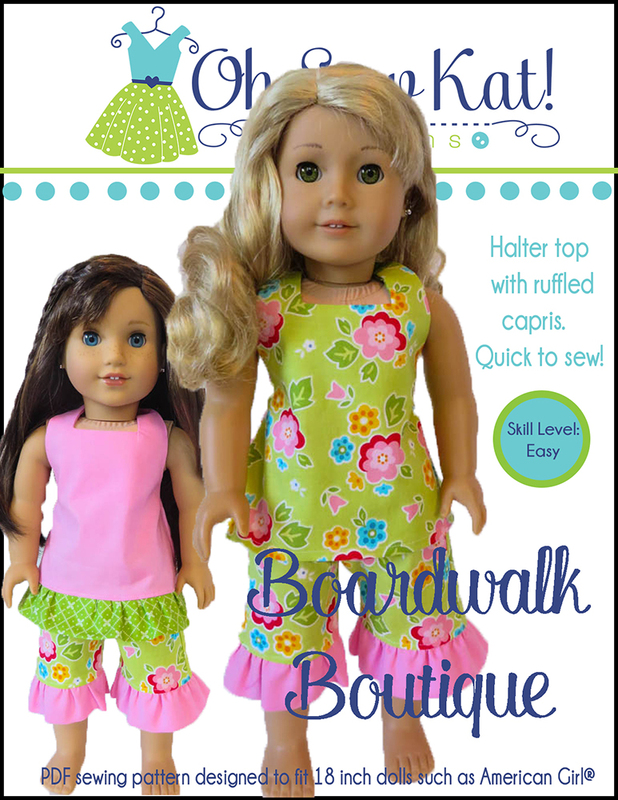 SHOP – Oh Sew Kat! 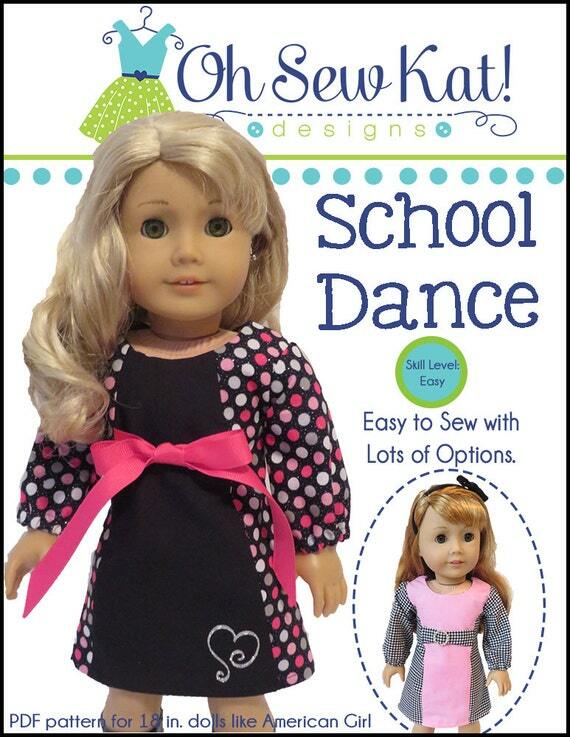 It’s easy to get started sewing your Oh Sew Kat! patterns today. 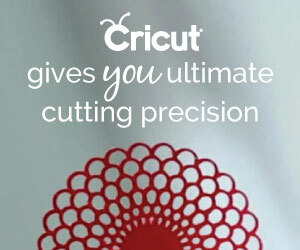 Order online and simply print your pattern on your home computer. 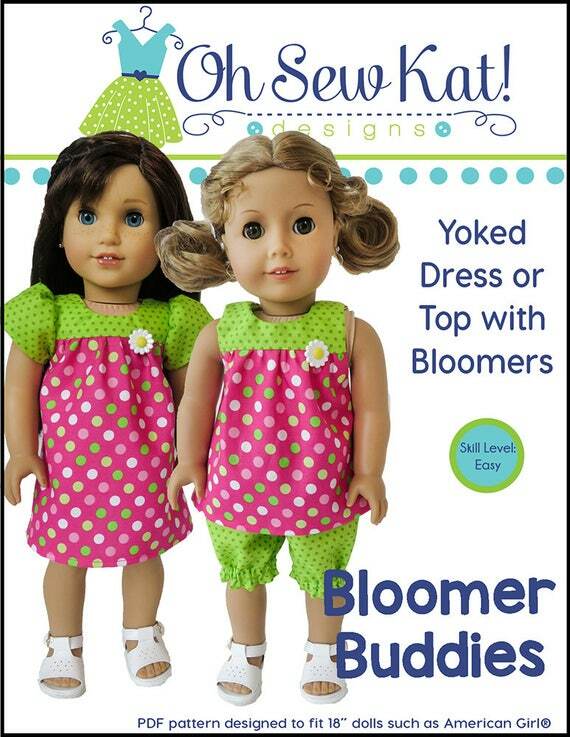 Get a pattern FREE!!! 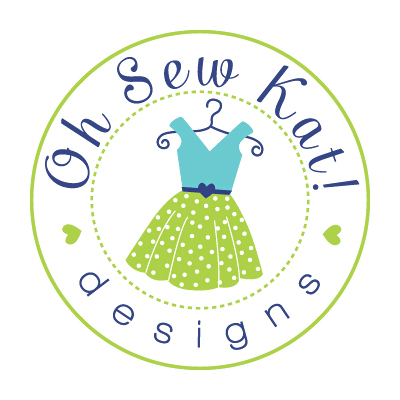 Join the Oh Sew Kat Chat! 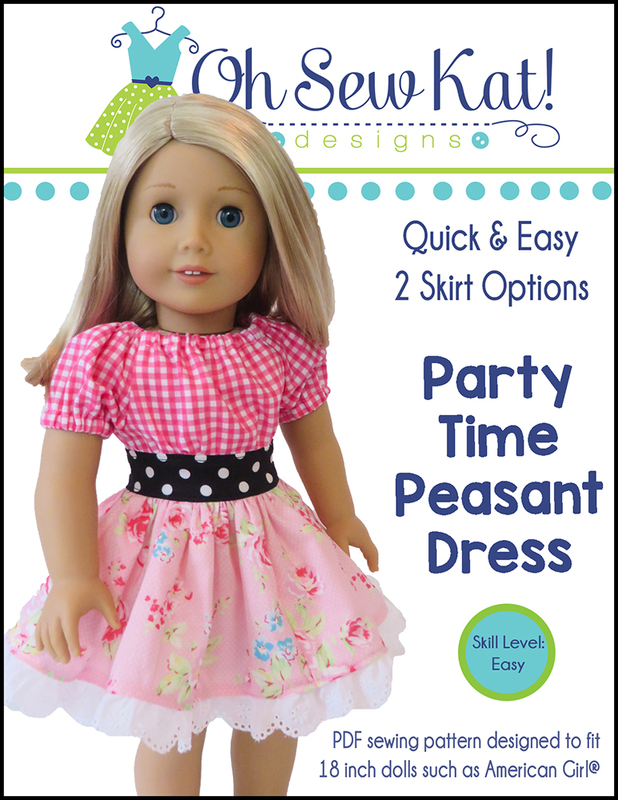 email list to receive the Four Season Skirt pattern (for 18 inch, Wellie Wishers, and Animator sized dolls) and be the first to hear of new releases, sales, coupons, and more! Because so many crafters have loyalties to their favorite sites (not to mention perks like reward points that can be used to shop more! ), I like to help you stay true to that loyalty with my partnerships with Pixie Faire and You Can Make This. 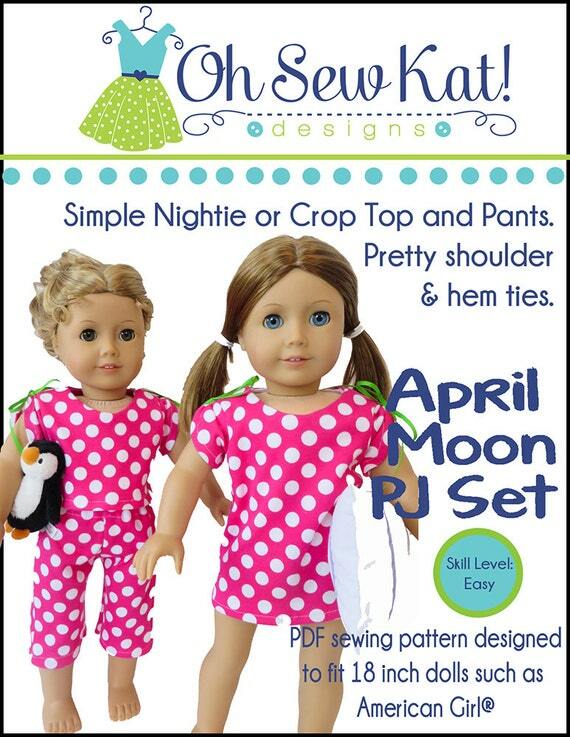 You will find most of my patterns listed on all three sites. 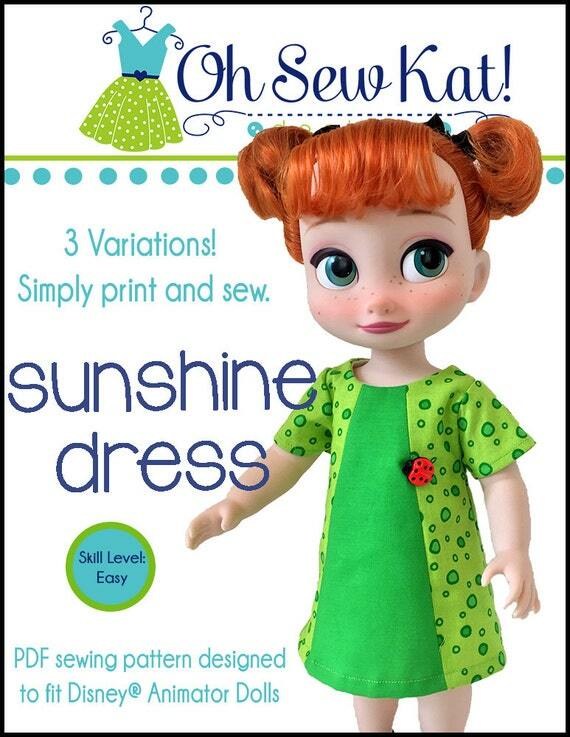 Pixie Faire: Oh Sew Kat! 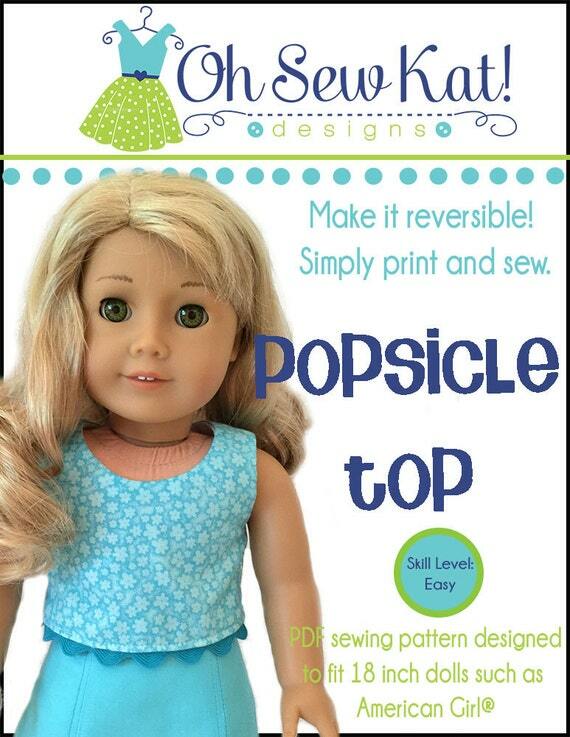 You Can Make this: Oh Sew Kat! Thank you for your business and your support!! I love your patterns and enjoy making them. I find your instructions to be easy to follow and your design choices absolutely adorable. 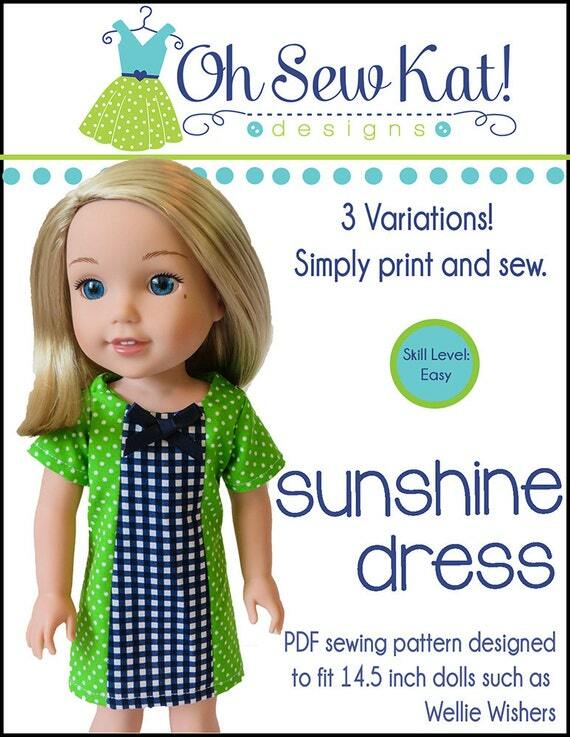 I have seen some of your pictures that you provided on finished products and especially love the Four Seasons Skirt pattern. 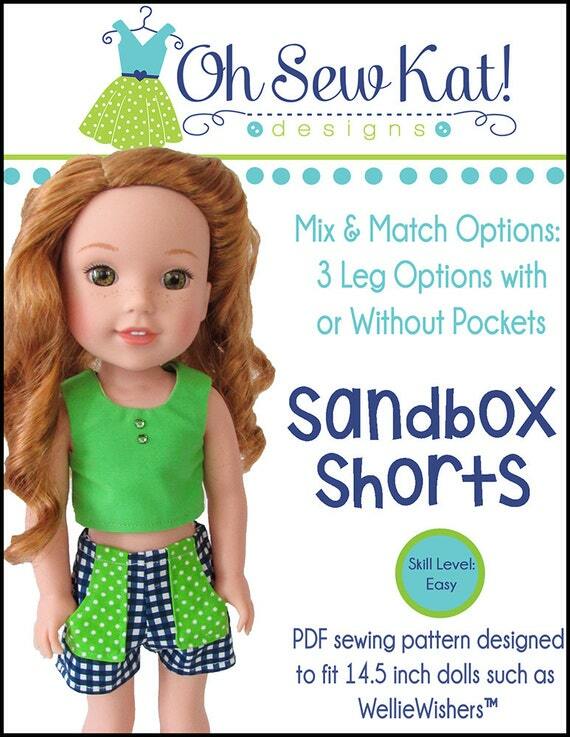 I am already a member of your Oh Sew Kat Chat emails so I don’t qualify to get the free Four Seasons Skirt pattern but wondering how I can purchase the pattern. I have looked on Pixie Faire and on Etsy and was unable to find it. Is it available for purchase? Thanks, Patti. 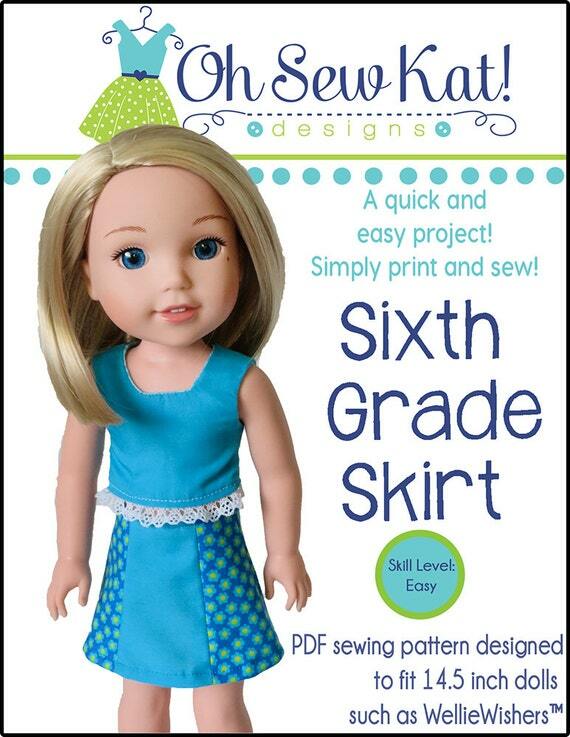 I’m sending you an email about the skirt pattern. I can’t seem to find your materials pattern. Hi Betty. 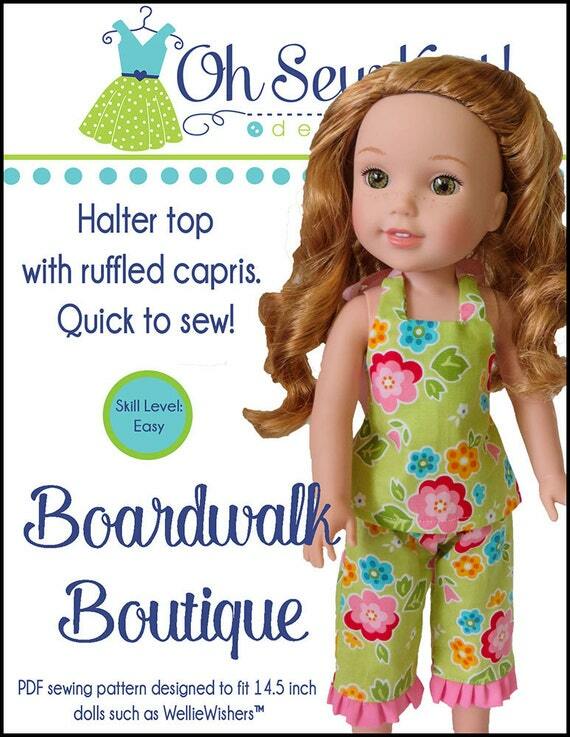 Click this link to go to my shopping page: http://www.etsy.com/shop/ohsewkat. 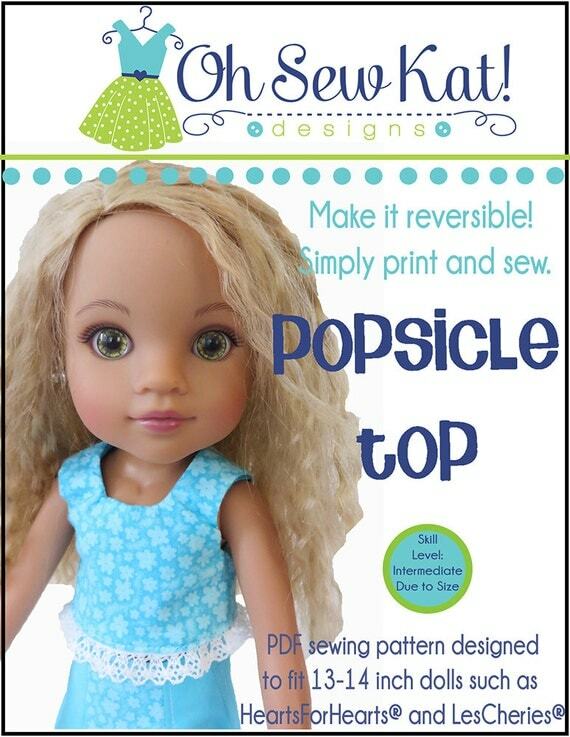 To get the free pattern, you click this link to sign up for my email list. 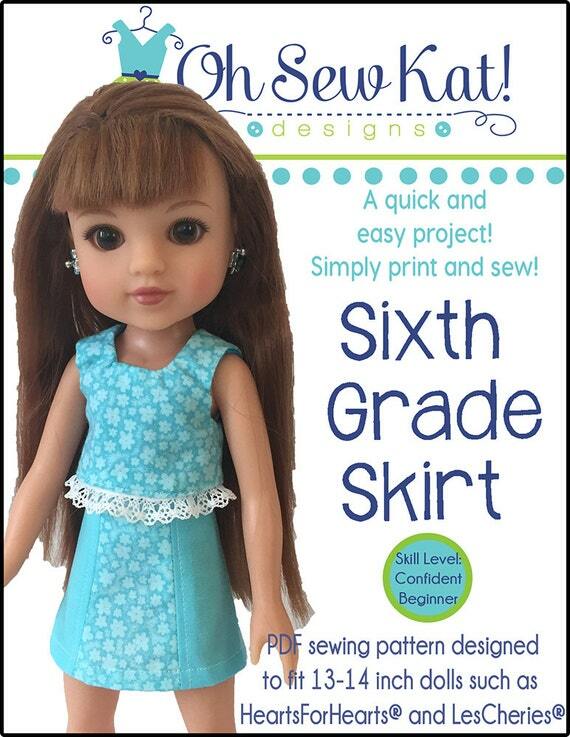 The free skirt patterns’ links will be in the welcome email after you confirm your subscription. 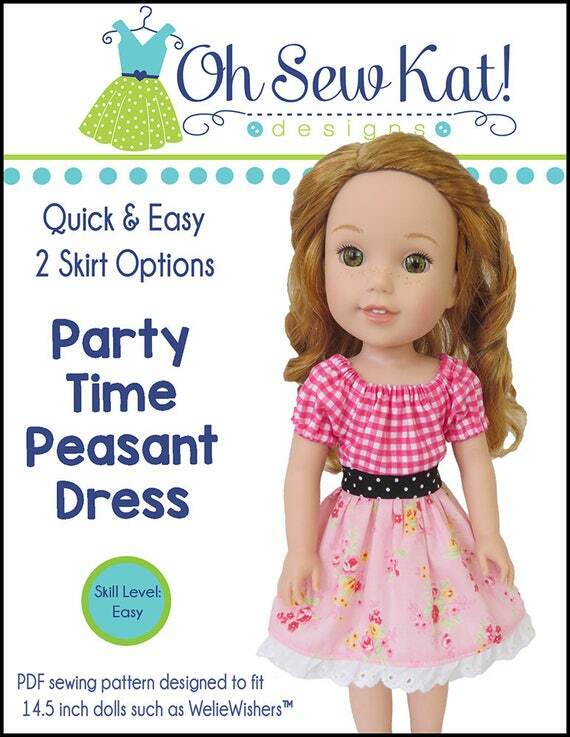 I love your ‘”PARTY TIME PEASANT DRESS” and i’ve made a bunch of them for both Wellies and AG. 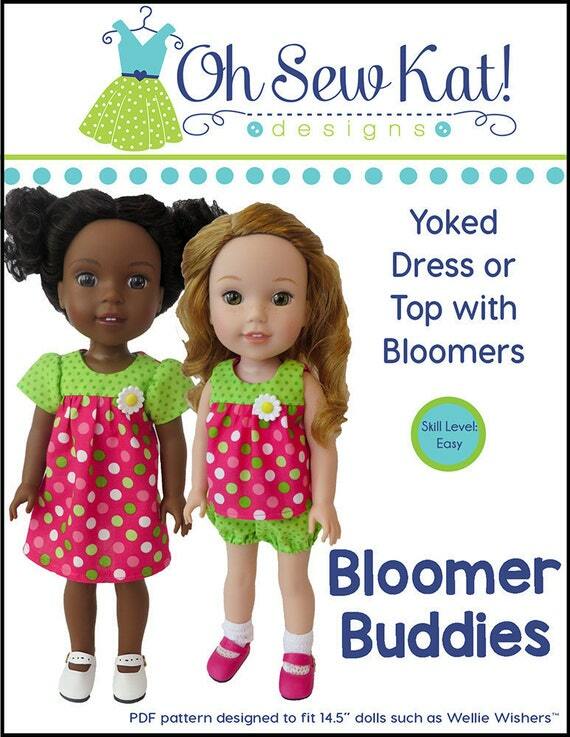 They are fun and easy to make so many different ways. Thanks. 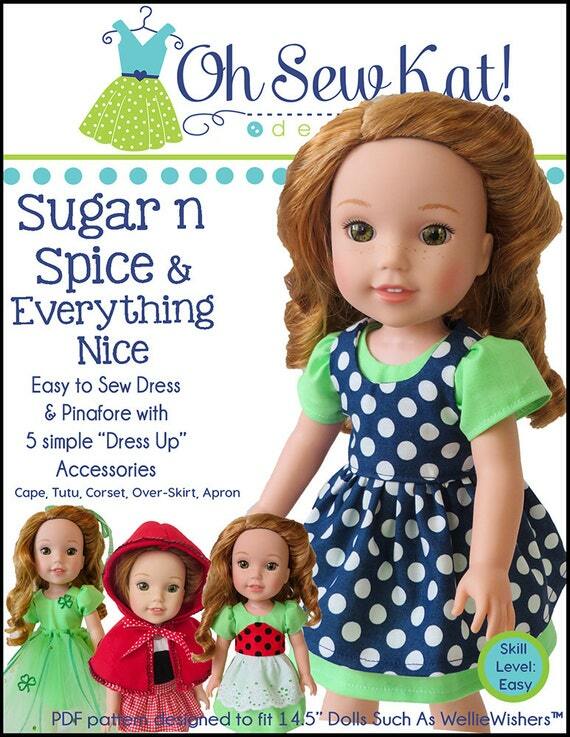 Pingback: 6 Dresses from One Pattern: Six Different Ways to Sew the Sugar n Spice Dress by Oh Sew Kat! – Oh Sew Kat! Pingback: Hop on Over and visit Karen Mom of Three – Oh Sew Kat! Pingback: Step it Up! 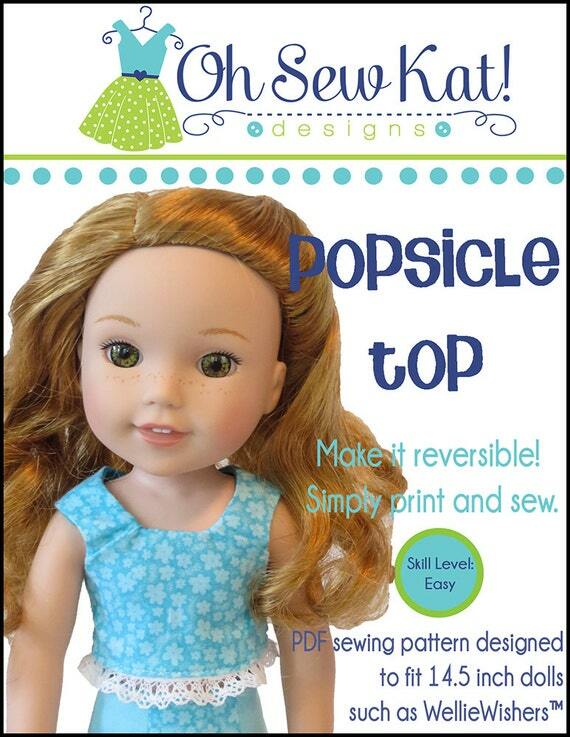 Series: Make a Sleeveless Doll Top with the School Bell Blouse Pattern Hack – Oh Sew Kat!